Note: This blog post originally appeared on Education Post, an education news site that seeks to elevate the voices of the people who matter most in the movement to improve schools: parents, kids, and teachers. I grew up in El Sereno, a low-income neighborhood near Los Angeles, and faced a difficult childhood. My mother was murdered when I was 6 years old, leaving my father to raise three children with the help of my grandmother. I struggled academically and emotionally in school, and it was hard to get the attention I needed in a class of 45 students. My father realized that I needed help and possibly a different school. As a single dad, working full time and attending college in the evenings, he often watched late-night Oprah reruns for parenting advice. One evening, Ted Forstmann was discussing the Children’s Scholarship Fund (CSF), a non-profit he co-founded to give parents who otherwise could not afford it the opportunity to choose their children’s K-8 schools. My dad applied to CSF, and my sister and I were awarded scholarships. It was a happy moment, and a turning point in our lives. At St. Thomas More Catholic School, my classes were small, and I received the attention I needed. My teacher discovered I had dyslexia, and I began receiving extra reading help. I started to thrive and was soon earning As and Bs. I was even elected to serve as the school’s student council treasurer. My new principal noticed I had some emotional issues due to my mother’s death and arranged for me to see the school therapist weekly, which was a big help. I also was introduced to poetry by an English teacher, Mr. Flavo, opening up an entire world I wasn’t even aware existed. I started writing my own poems, which helped me process my feelings, and my lifelong love of writing was born. Thanks to the skills I developed in my formative years at St. Thomas More, I learned to better communicate and express my feelings, which allowed me to deal with my problems and my relationships in an effective and positive way. I can honestly say my education set a foundation of good values that I carry with me today. I graduated from high school and turned down my acceptance to Cal State University to begin a career at Primerica Financial Services, where I received my license to sell life insurance and mortgages. Eight years later, I left the finance industry to move to New York City and pursue my passion, a career in writing. I am now completing my film degree at City College, where I’m specializing in screenwriting while also working part-time for CSF, the organization that changed my life by giving me access to a quality education. 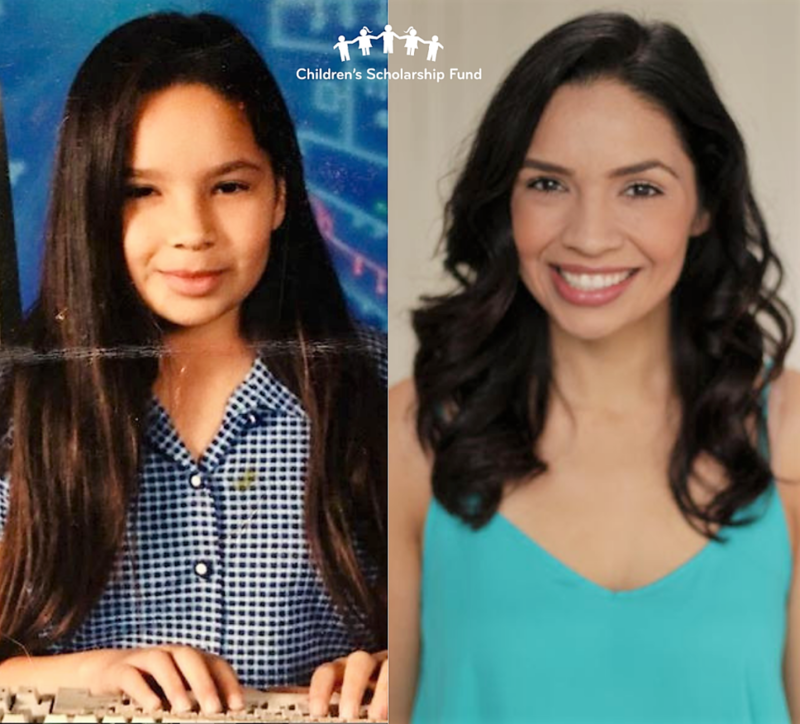 If it wasn’t for the Children’s Scholarship Fund, as vulnerable as I was, I could have ended up on a very, very different path. I don’t know exactly what my future would have been, but I wouldn’t be who I am today if I had never received that scholarship. This National School Choice Week, I am grateful to be in a position to impact other children’s lives through my work at CSF and by giving back.